I've put up a brand spanking new Website / Portfolio! Go have a poke around and get familiar with it... there will be a quiz. Anywho... now for the sad news... I'm not going to be updating this blog anymore. I know.. I know... it was a tough decision to make. I'll keep it up so you can still come here and look around for the sake of nostalgia. However... in it's place I have uploaded all my old blog posts to my new blog! located on my website. So, you can still get your regular dose of insanity. 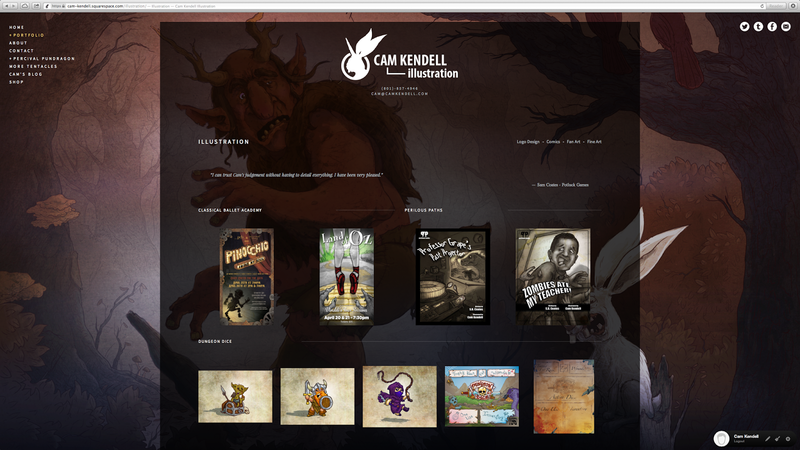 Plus... you can also follow me on Tumblr, Twitter, and Facebook. So... yeah. It's been good times. 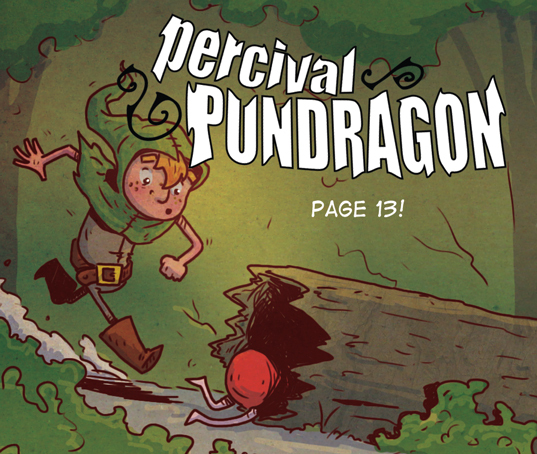 Page 13 is up for reading today! I love listening to the rain tap on my window as I work. Sometimes I toy with the idea of moving to a city where it rains a lot. Like, maybe Seattle. Maybe I would run into Fraiser. If you know of any other rainy cities... let me know. Anyway... I did this warm up of an anthropomorphic Turtle Warrior climbing a mountain in the rain. 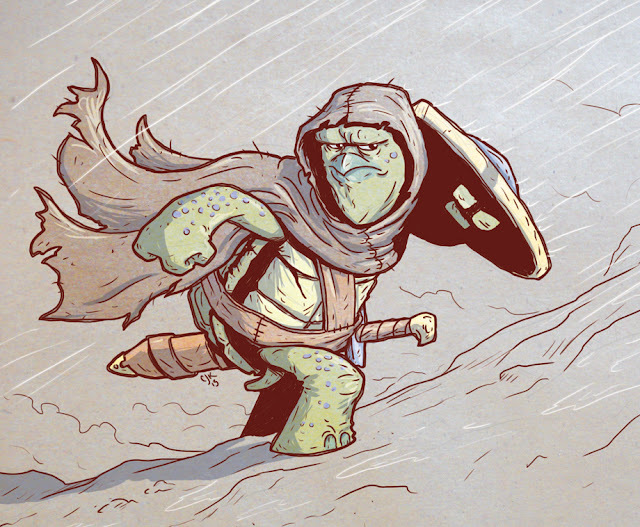 It's always fun combining animals and fantasy... always. 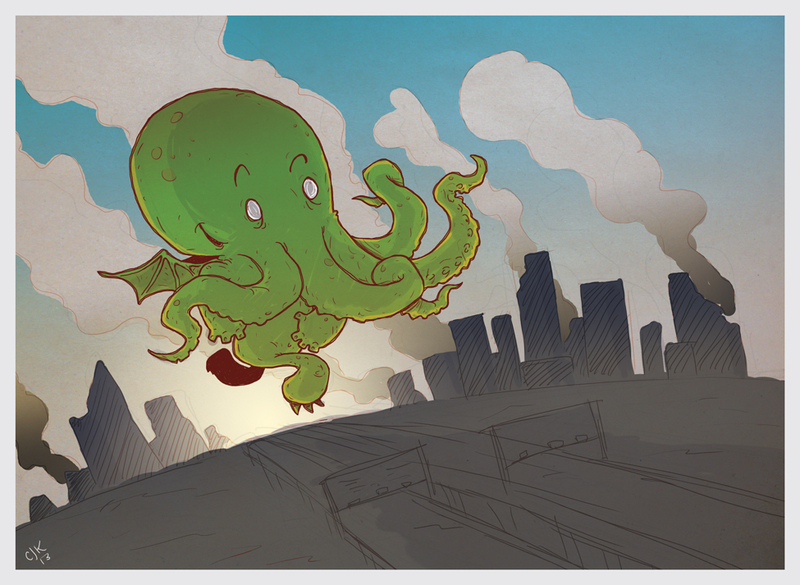 for the More Tentacles blog. But as I was sketching I couldn't resist making it into a ninja mask. 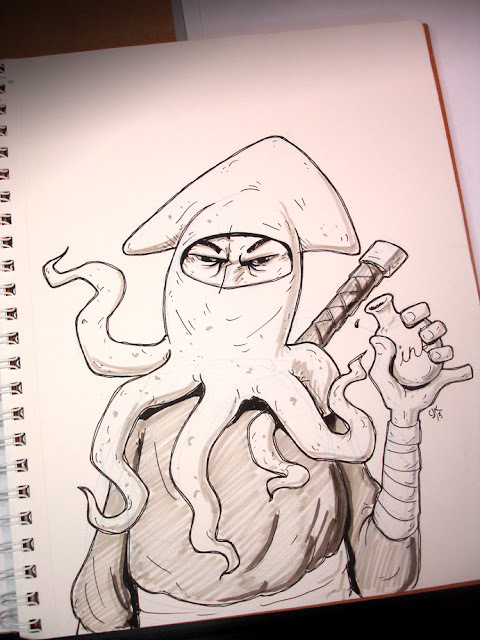 So... Blooper Ninja... with a bottle of ink. ... yes it is weird. Did you really expect anything different? Man, I just started wondering if it's all squishy in there? Things are coming along and I hope to have the Kickstarter campaign up soon. On a side note... I played Hero Quest with my two boys (7 and 5 yrs old) last night. That was hilariously fun. They really got into it and started theorizing and strategizing. Here it is... the full color version of the piece. To see the line drawing (click here). I've introduced a few teaser characters in this piece that have not yet shown up in the comic... just call me Teaser McTeasington of Teashire. Anywho... This was a fun piece to work on. 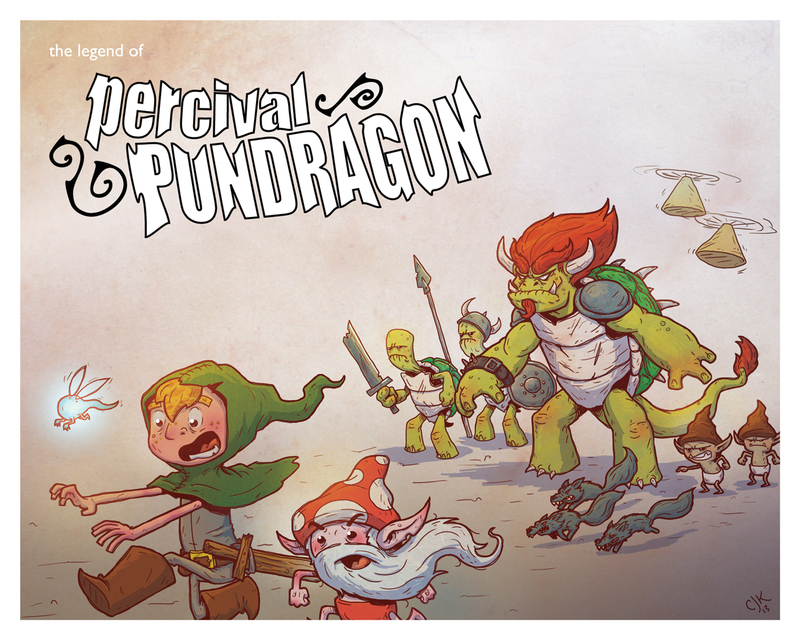 As I've said before, I love drawing people in peril. If you haven't yet, you can follow Percival and Newt's adventures in the comic: The Legend of Percival Pundragon. anyway... 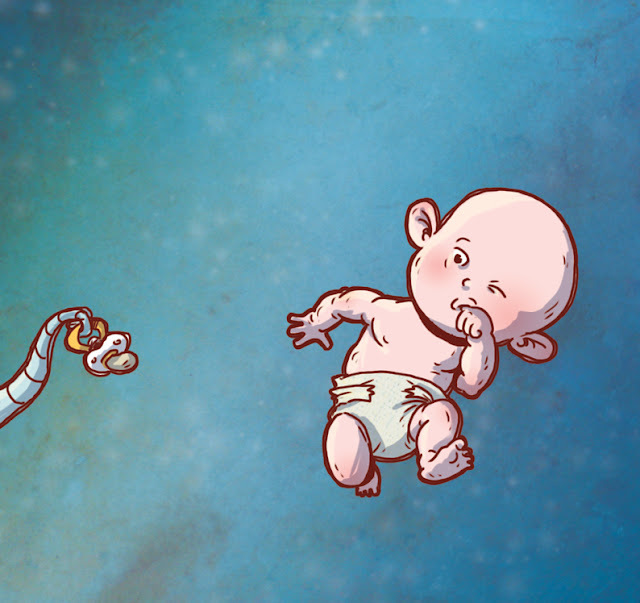 I call this piece "Luring The Space Baby"
I did it for the More Tentacles art blog. Go check it out and submit something! Go here to purchase it. Couldn't you see this hanging up in your office, you hallway, or even better yet... the babies room! And here is a nice close up of that adorable baby. And... if you want some music to listen to as you contemplate the vast meaning of this fine piece of art work... check out Jim Guthrie's awesome song, Ballad of the Space Babies from the Sword and Sworcery soundtrack. 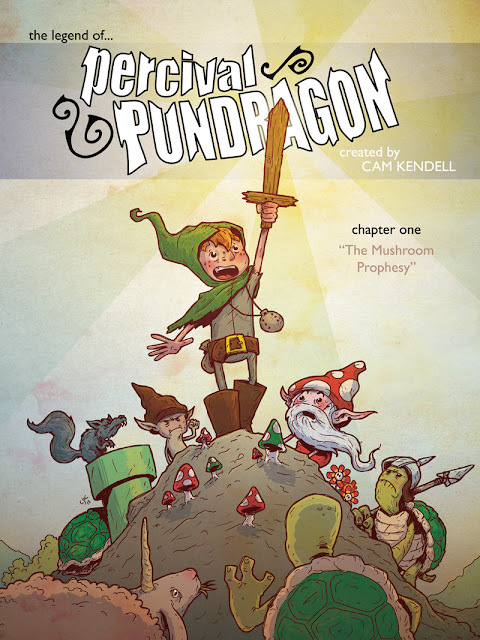 Behold... A taste of The Legend of Percival Pundragon for all you blogger peeps. This is page 12 of the comic. 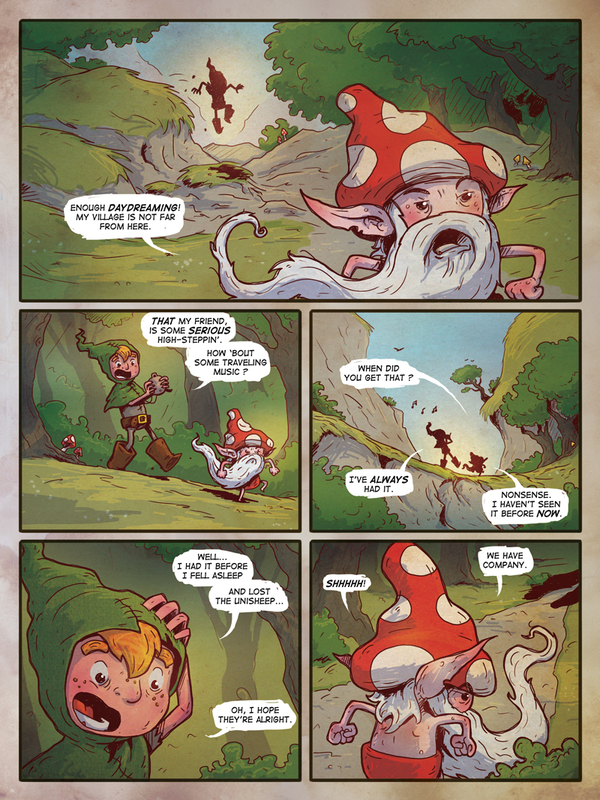 Right nowthe first 12 pages can be read on the Facebook page or on the Comic Fury Site.